Dr. Alexander is a celebrated spine specialist in Orange County, CA. Diagnosis and treatment is all handled in house and we have the technology and the expertise to treat your condition promptly in order to get you back to your day to day routine again. Since your back is a complex hub of bones (also referred to as vertebrae), muscles, discs, tendons and ligaments that provide balance, mobility, support and protection for your body, especially your spinal cord and its surrounding nerves. Wear and tear on a daily basis tends to have its effect on the spine, making the back more susceptible to injury and to experience pain. Genetics also play a role when it comes to spinal deterioration. There are two types of back pain: acute and chronic. Acute back pain tends to manifest itself in sharp and severe bursts, while chronic back pain generally occurs over a longer stretch of time. 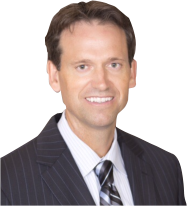 Dr. Alexander is an experienced and celebrated spine surgeon serving the Orange County, CA area as well as its surrounding regions. He uses and has helped pioneer cutting-edge techniques like artificial disc replacement and minimally invasive spine surgery which serve as alternatives to more conventional spine surgery procedures and methods. Contact Dr. Alexander today and we’ll provide a comprehensive consultation, zeroing in on your problem and finding a practical solution that will have you feeling like yourself again. Dr. Alexander offers patients the most advanced spine treatment available today. Looking for a Spine Specialist in Orange County?